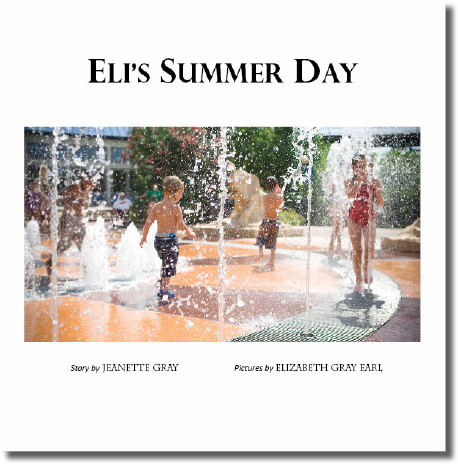 In Eli’s Summer Day, Eli and friend Squirrely Squirrely hike in the woods and find a pond, boulders to climb, and a cave to explore. After lunch, Eli and cousin Daniel splash in the fountain and ride a carousel. Eli’s Summer Day ends with guitar music and marshmallows around a fire. Softcover, 8.5 x 8.5″. 26 pages.